Political reporter Laura Jayes is now host of The Morning Shift with Laura Jayes for SKY News, which began today. Jayes, who returns from maternity leave, was previously fronting The Latest with Laura Jayes in primetime. “After five months away from SKY News, it is great to be back. It was tough sitting on the sidelines but it’s given me a fresh perspective. I’m re-energised and more enthusiastic than ever – juggling mum life and work,” she said. Laura joined SKY News in 2006 before being appointed Brisbane Reporter. In 2011 she joined the award winning SKY News political team in Canberra as Political Reporter before returning to Sydney in 2014. In 2016 she was appointed Anchor of the weeknight primetime program The Latest with Laura Jayes. 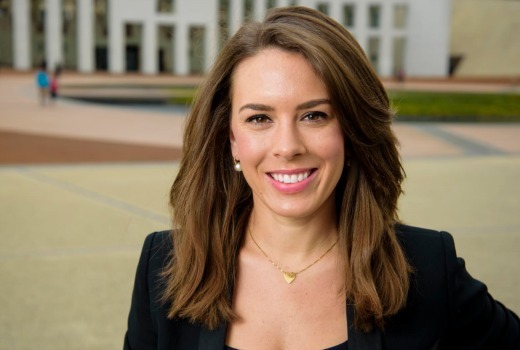 A well connected press gallery journalist, Laura has covered the 2012 and 2013 Labor leadership challenges, 2015 Liberal leadership challenge and three Federal Elections. She has also reported on Brexit from London, the Queensland floods, the war in Afghanistan from Kabul, Kandahar and Tarin Kowt and Donald Trumps’ election win and inauguration in Washington. Laura is one of the few journalists to be granted access to Nauru to report on the fate of asylum seekers. Laura is also a recipient of the 2016 SKY News team Walkley and Logie Award for the channel’s Federal Election coverage. 9:30am weekdays on SKY News. It is nice to see her return, but I wonder who will replace her on The Latest. She was really the only female primetime presenter on Sky.